The embossing die set can be used in any print/cut station on our 500 series or servo range of machines and can be heated for use with standard hot foil. The die set enables you to adjust the tool and counter force in an ‘x – y’ or rotational direction allowing the tool to be moved in to register with a pre-printed web, whilst keeping alignment between the tool and counter force. Multi-drilled dovetail plate: The tools are attached using 3 or 4mm screws as per the standard gauge plate. 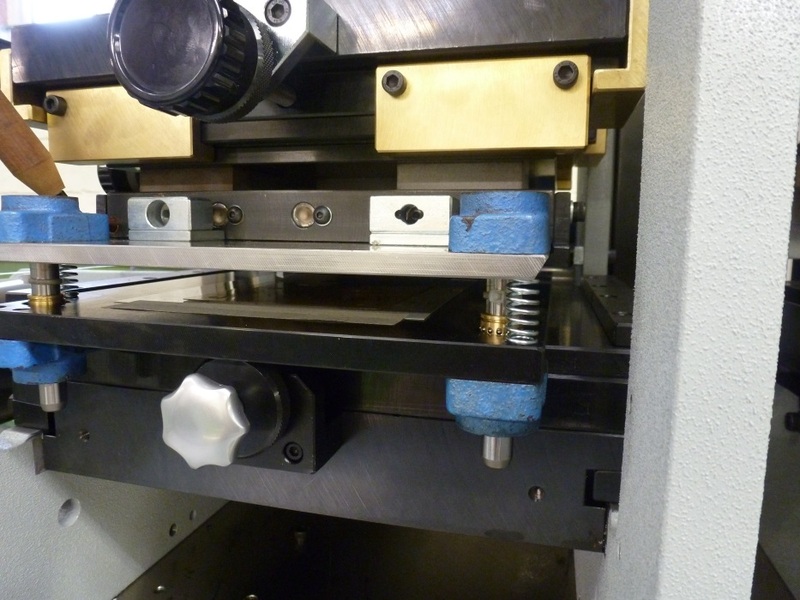 Printing plate: The counter forces are attached to the print plate which is smaller in width than a standard printing plate, allowing for adjustment using the x-y adjuster screw assemblies. Slide bush & dowel: The dovetail and printing plates are attached and located together using 2 off slide bushes and dowel assemblies, mounted on the front of the die set.